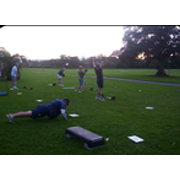 Outdoor X offers you challenging high intensity outdoor group training sessions in the beautiful inner city Sydney domain parklands. 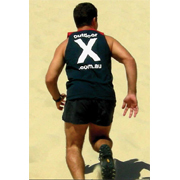 At Outdoor X we are a team of ex- military trainers who are experts in training you at a high intensity level dependent on your individual fitness level. Our training methods are operationally tested and proven and the atmosphere is social and full of camaraderie. Our military super sessions are a 2 hour grinding endurance workout that will truly test your physical and mental boundaries well outside your comfort zone.Our sessions are catered for everyone and no individual gets left behind regardless of their individual fitness level. All our trainers are ex Australian soldiers who are also qualified military instructors with a wealth of physical training experience. 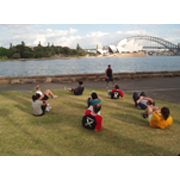 Our sessions will be conducted in different locations throuhout the Sydney area. Corporate Services - Motivate Your Staff! Outdoor X provides employers with low cost and effective solutions for inspiring and motivating your staff whilst at the same time improving work-life balance and facilitating team building within your organisation. Offering a range of services that can be provided at your workplace or in surrounding environments during or after business hours, Outdoor X can provide a program customised to meet the needs of your organisation. Contact Us today to find out more. Our military style team building activities will challenge your workforce to come together as a determined team to complete puzzling tasks and accomplish intense missions working in teams with and against their peers. Our activities include obstacle courses, team games, team navigational exercises, equipment carries and many more. Our activities can be conducted as a 1hour or 1-1/2 hour activity. We are flexible with the locations. 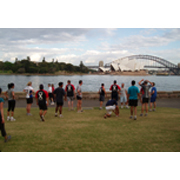 Why not come see what we have to offer and join us training in one of the most beautiful city’s in the world. DOWNLOAD A SPECIAL OFFER TODAY!